Purchase your Friday Ticket for Best Kept Secret here! The 31st of May 2019. Please note that camping is not included. Purchase your Saturday Ticket for Best Kept Secret here! The 1st of June 2019. Please note that camping is not included. Purchase your Sunday Ticket for Best Kept Secret here! The 2nd of June 2019. Please note that camping is not included. Purchase your Weekend Ticket for Best Kept Secret here! From the 31st of May to the 2nd of June 2019. Please note that camping is not included. The brand new Boutique Village is perfect for those who enjoy some luxury at Best Kept Secret. 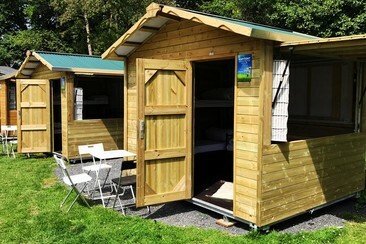 The Boutique Village provides a unique camping experience, offering a range of pre-pitched and high-quality accommodations, clean and regularly serviced toilets, hot showers and many food trucks to get the best coffee in the morning and a cold beer in the evening. With the festival site and a special parking area close to the village, it's only a short walk to the festival site. The Bring-Your-Own-Boutique is an upgrade of your weekend ticket including camping, which you can buy in the same order. 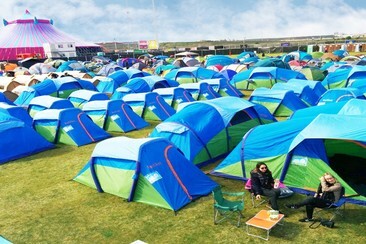 FestiTent rents out ready-to-use camping spots on festivals. 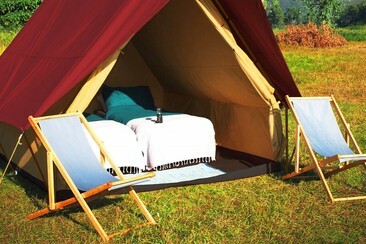 Forget about the hassle in the car park, dragging your camping gear to the entrance or the fight with your tricky tent. Just bring your ‘festival essentials’ and enjoy your festival happening from the moment you arrive, Easy and Relaxed! 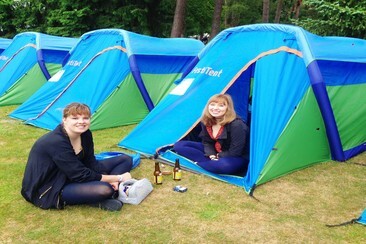 For those who want to stay 100% carefree @ Best Kept Secret, we have the FestiTent 1P Easy, Relax & Enjoy. 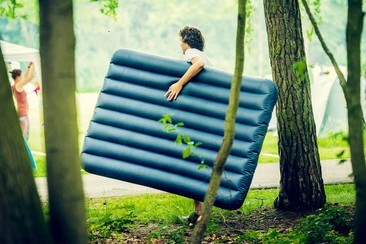 On top of a spacious one person FestiTent with air mattress, you also get a comfortable sleeping bag and a pillow. Together with the lighting, clothing hooks, storage compartments and spacious front tent, this FestiTent is the ideal package to travel stress-free to your festival. The front tent is separated from the sleeping compartment. This makes it ideal for putting shoes or luggage. There is also room for extra gear located at the back side of the FestiTent. The brand new Boutique Village is perfect for those who enjoy some luxury at Best Kept Secret. The Boutique Village provides a unique camping experience, offering a range of pre-pitched and high-quality accommodations, clean and regularly serviced toilets, hot showers and many food trucks to get the best coffee in the morning and a cold beer in the evening. With the festival site and a special parking area close to the village, there is no need to walk far. 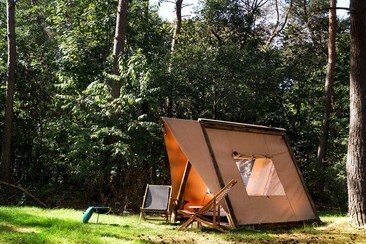 The Festipi is a sweet and comfortable wigwam for one or two people. You can leave your old camping gear at home; we got you covered with the most comfortable equipment: two sleeping mats, two sleeping bags, two pillows (case included). The brand new Boutique Village is perfect for those who enjoy some luxury at Best Kept Secret. The Boutique Village provides a unique camping experience, offering a range of pre-pitched and high-quality accommodations, clean and regularly serviced toilets, hot showers and many food trucks to get the best coffee in the morning and a cold beer in the evening. With the festival site and a special parking area close to the village, there is no need to walk far. The 'Kapi" Tip-Up is a compact, comfortable and sturdy tent for two persons that is equipped with anything you need for a luxurious festival weekend: two soft mattresses with sleeping bags, atmospheric LED-lighting, fixed wooden floor with rug, two beach chairs, a table, and an awning and free breakfast included. The brand new Boutique Village is perfect for those who enjoy some luxury at Best Kept Secret. 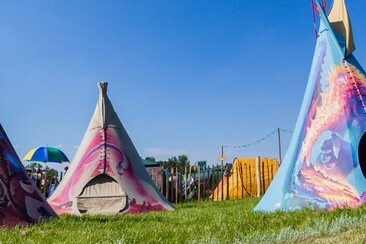 The Boutique Village provides a unique camping experience, offering a range of pre-pitched and high-quality accommodations, clean and regularly serviced toilets, hot showers and many food trucks to get the best coffee in the morning and a cold beer in the evening. With the festival site and a special parking area close to the village, there is no need to walk far. What about an actual roof over your head during Best Kept Secret? And a comfortable bunk bed to sleep in after an exhausting festival day? If you book the firm wooden Festi Barn (available for either 2 or 4 persons) you get just that, and a lot more: bedding ( quilt + cover + pillow + case), wardrobe, lanterns, rug, table and chairs for everyone. The brand new Boutique Village is perfect for those who enjoy some luxury at Best Kept Secret. 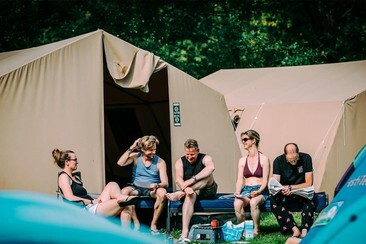 The Boutique Village provides a unique camping experience, offering a range of pre-pitched and high-quality accommodations, clean and regularly serviced toilets, hot showers and many food trucks to get the best coffee in the morning and a cold beer in the evening. With the festival site and a special parking area close to the village, there is no need to walk far. Are you planning to visit Best Kept Secret with a bunch of friends? Cool! The Group Tent might be your ideal stay for the weekend. Available for 10,13 or 18 persons. Want even more comfort? Book the number of beds (bedding included). The brand new Boutique Village is perfect for those who enjoy some luxury at Best Kept Secret. The Boutique Village provides a unique camping experience, offering a range of pre-pitched and high-quality accommodations, clean and regularly serviced toilets, hot showers and many food trucks to get the best coffee in the morning and a cold beer in the evening. With the festival site and a special parking area close to the village, there is no need to walk far. The Who is more like a lodge, entirely made of canvas. It has a big window at the back for a ray of sunlight in the morning or just a breeze of wind. It features real beds with mattresses. duvets and pillows (with 100% cotton linen), atmospheric lighting for inside the tent, chairs to chill inside or outside the tent, a doormat and a lock to shut down the tent - safety first! and free breakfast included. The friendly Hotel Brabant is situated near several amusement parks such as Efteling, Safari & Speelland, Beekse Bergen, and Autotron, only 5 minutes walk from the Hilvarenbeek center. The hotel has a cosy pub where guests can play billiards and darts, also has a restaurant serving delicious meals. 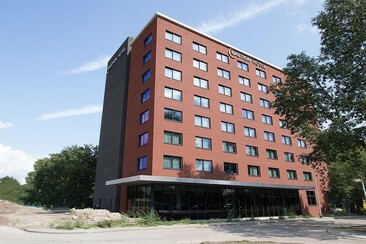 Hotel Brabant offers a pleasant atmosphere and comfortable rooms. The standard double rooms and standard single rooms have shower, toilet and television. Budget double rooms and single rooms are available with shared shower and toilet in the hallway. This property is 7 minutes walk from the beach. Bastion Hotel Tilburg has a very good location along the A58, close to the city centre of Tilburg, a 5-minute drive from shops, museums, and restaurants. Bastion Hotel Tilburg offers a 24-hour front office, comfortable rooms and an extensive choice of dishes from the à la carte menu in the atmospheric restaurant. The lounge features LCD TV and relaxing lounge chairs. The hotel also offers free Wi-Fi in the entire hotel. In the lobby, there is a computer with internet access, at the guest's disposal free of charge. The Efteling and Beekse Bergen amusement parks are nearby.